However the situation is still controllable. 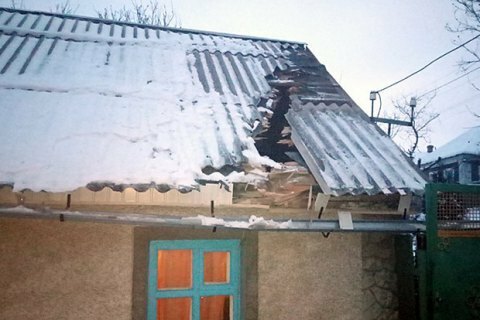 Avdiyivka has found itself on the brim of a humanitarian catastrophe after pro-Russian militant attacks which started on 29 January, the head of the Donetsk regional military and civil administration, Pavlo Zhebrivskyy, said on 31 January. "We have set up a regional coordination centre, which includes the city heads, security forces, rescue workers and representatives of the city's industry," he said on Facebook. He said the city authorities are ready to begin restoration works. Special police and army units have been deployed in Avdiyivka to ensure public order and prevent looting. The temperature in the homes of Avdiyivka residents is at 16-17 degrees C as the local coking plant ensures the circulation of coolant in the central heating system, Zhebrivskyy said. "Local hospitals have been provided with powerful diesel generators and operate as normal. Schools and kindergartens are on autonomous heating. Rescue workers have brought high-power generators, heat guns, large tents, temp stoves, kitchens, water and food supplies. The coordination centre is working hard to provide city residents with hot food," he said. Earlier, President Petro Poroshenko instructed his administration to urgently convene a meeting of the Trilateral Contact Group on a Donbas settlement because of the situation in Avdiyivka.